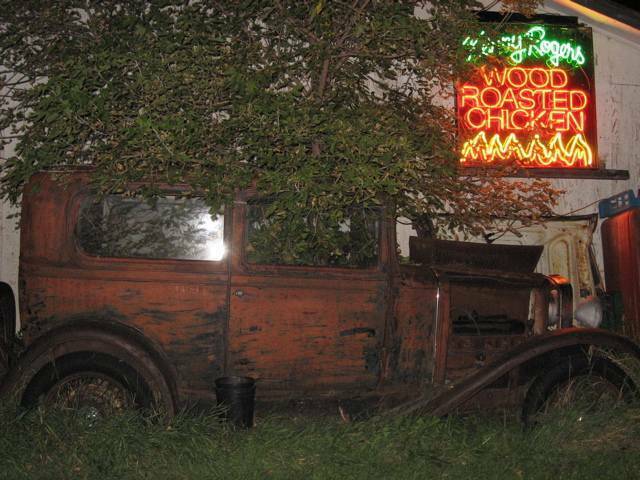 Car Photos > Rusty Rat Rods & Hot Rods from the 30's, 40's and 50's > Another great Rusty Ride photo find! Kenny Rogers should be slapped silly! What are you talking about legratrodder? There is a tree growing right through it! And trees don't grow over night. Nice car. I doubt it has been there long. Maybe only for the picture.